With the wind and weather battering our shores the GSPCA have been kept busy with Wild Animals and Birds being rescued around Guernsey. We have had 10 Hedgehogs since Saturday and 11 birds from Robins to Gulls all found sick, injured or trapped. 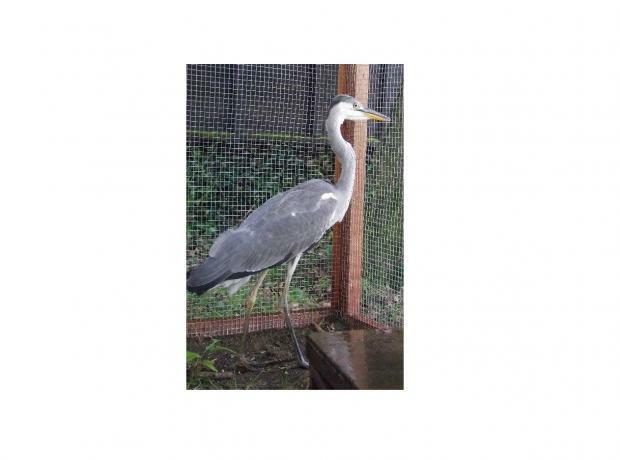 Sadly some of them we were unable to save due to their injuries but one of the lucky birds has been Henry the Heron. Henry had been taking Shelter in an Islanders pond and garden but unfortunately got caught in netting. He was rescued and brought into the Shelter very wet and disheveled on Sunday.